Join us for a powder adventure on the north island of Hokkaido, Japan. 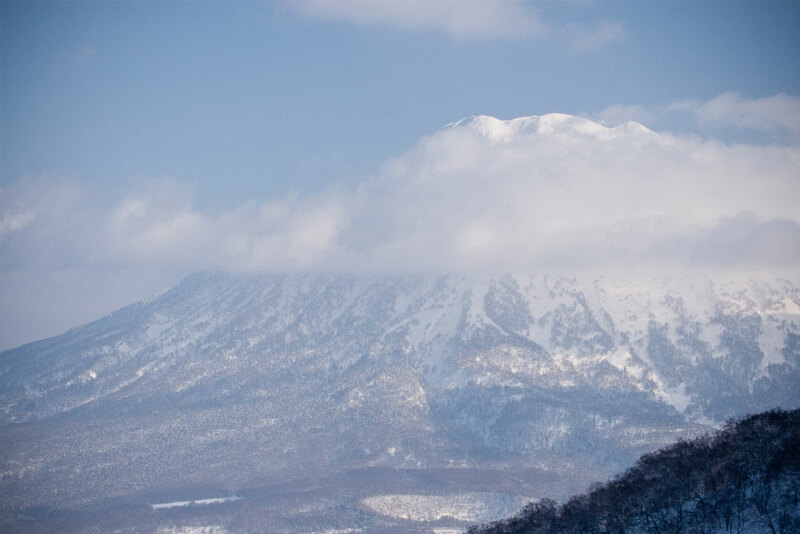 We'll stay in central Hirafu and explore Niseko and the surrounding resorts. Find out why this is the ultimate ski and snowboard destination. Arrive at New Chitose Airport on Saturday and take the hotel shuttle to Crown Plaza Ana Chitose. You'll check in and have the day to relax and explore Sapporo before meeting up with the group the next morning. This night is optional - you can also fly in on Sunday, Feb. 12th as long as you arrive by 8:00am (this option is difficult for most international flights coming from the US). Wake up and eat breakfast before meeting up with the group in the hotel lobby at 9am. 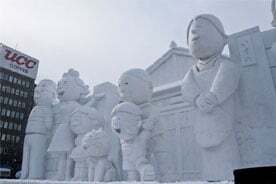 We will take a private coach to Odori Park to view ice sculptures at the annual Sapporo Snow Festival before continuing on to Hirafu and checking into the North Point Pension. 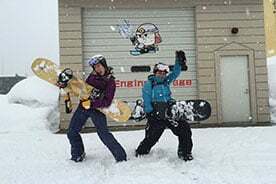 We will unpack and enjoy lunch with a Hanazono Powderguide who will provide an area overview before heading out for afternoon and night riding at Grand Niseko Resort up the street. We will arrange for dinner reservations for small groups around 8:30pm. You will be responsible for your breakfast, snacks and dinner on this day. Meet for breakfast at 7:30am to outline the day and get to know the group. Get ready and meet in the lobby by 8:30. For our first day of riding, we’ll head towards the Niseko United resort that's received the most snow. Folks are welcome to stay in the group or explore on their own. We’ll identify an optional meeting spot for lunch and discuss the plan to return to the lodge. You’ll have time to relax in the lodge or explore Hirafu. We will help the group make reservations for dinner. You will be responsible for your lunch and dinner bills on this day. Repeat! This could be a great day to hike to the top of Mt. Niseko An'nupuri and catch the views of Mt Yōtei. After a hard day of riding, make a pit stop at a local onsen (traditional Japanese hot spring baths) to relax your aching muscles on your way back to the lodge. We will set up okonomiyaki dinner reservations where we will prepare our meal on personal tepans. You will be responsible for your lunch and dinner bills on this day. Depending on the weather we may partner this day for a guided tour with Hanazono Powderguides. 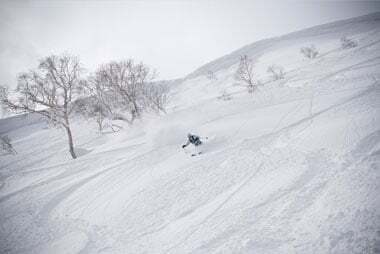 We will split into two group by interest and ability and explore Niseko back and slack country. We'll follow a hard day of riding with small group dinner reservations and finish the night with a round of drinks at Bar Gyu, the tiny and infamous "fridge bar". You will be responsible for your lunch and dinner as well as any cocktail bills on this day. After so much riding, we'll give the group the option to relax. We will set up a day tour to see some a bit more of Hokkaido and stop for sake tasting. You will be responsible for your lunch and dinner bills on this day. If the weather looks good, we will get up early today to head over to Kiroro or Rusutsu (about 45 minutes away) for a new adventure. Expect shorter lines and plentiful off-piste options at both of these resorts. After a day of riding, we'll head back into Hirafu for small group dinner reservations. You will be responsible for your lunch and dinner bills on this day. This will be our final day of riding, so we will be on a powder hunt! Make the most of your last day's lunch with a big bowl of Niseko Ramen. Explore on your own or with the group to ensure you make the most out of this day. On your way back to the lodge, we recommend a stop for mini-cheesecakes made fresh from Hokkaido cows. We will make an optional reservation for the full group this evening. You will be responsible for your lunch and dinner bills on this day. We'll wake up early and take a private coach straight to the airport. This is about a two-hour journey, so please do not book your outgoing flight before 1:30pm. We will have two departures from Hirafu depending on your flight time. If you'd like to stay longer or add days to explore Sapporo, we are happy to help coordinate this and may have shipping options available for luggage. 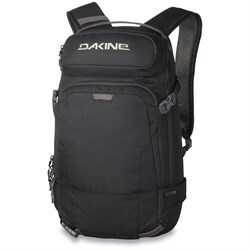 Every evoTrip Niseko traveler will be kitted out with some sweet gear from our partners, Airblaster, Dakine, and Oyuki. So not only do you get to come ride some of the best snow on the planet, you'll take home some goodies that you can use far beyond the trip! 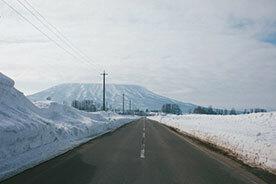 Niseko is located on Hokkaido, the north island of Japan. 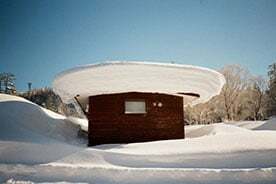 You will fly into the New Chitose Airport in Sapporo and we will make the two hour trek to one of the snowiest places in the world. 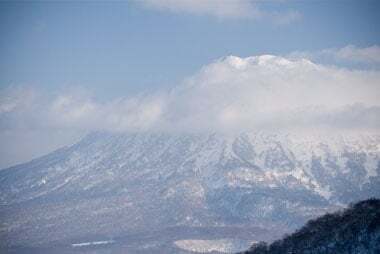 We will explore the Niseko United resorts as well as avoid the crowds at nearby Rusutsu and Kiroro. 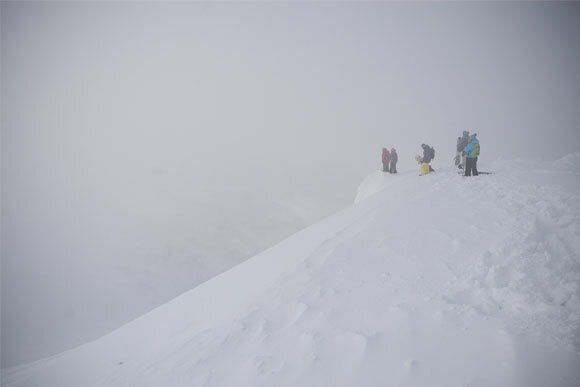 This is a perfect trip for powder-seekers - be prepared for heavy snow and low visibility. Hirafu offers plentiful restaurant and nightlife options to keep us busy on and off the hill. Check out all of our Japan ski & snowboard trip packages for more great trips. Unfortunately single rooms are not available for this trip. We may be able to accommodate a group of three, but we will not have private rooms this time. Yes. 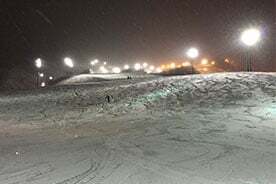 All levels of skiers and snowboarders are welcome. You don’t need to be an advanced or expert skier or snowboarder to have a good time on this trip. However, if you are an expert you won’t be disappointed because there is terrain for everyone. 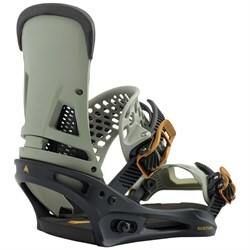 Ski the resort, the parks or if the conditions are right there are plentiful backcountry options. Spend time with the group or do your own thing. We recommend that you bring your own gear. 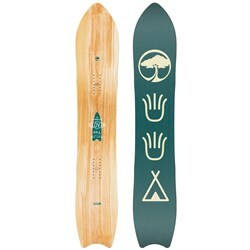 There are rentals available at a local snow shop and at the mountain, unfortunately there is not a list of rental equipment available and we cannot guarantee that you will have access to specific sizes or brands. 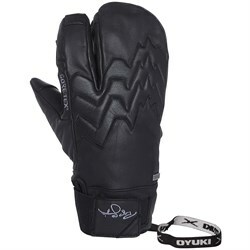 Avalanche safety equipment is required for backcountry riding and rentals are available as well. Can I (or my partner) come even if I don’t ski or snowboard? Yes. 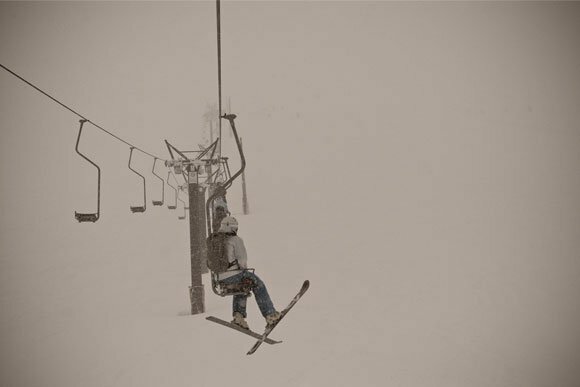 The primary activity on these trips is skiing/snowboarding; however, there may be options if you or your loved one does not currently participate. 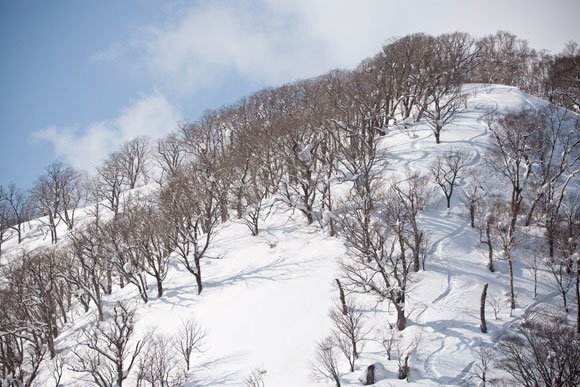 There are English-speaking ski schools in Niseko and you can sign up for lessons and rentals (we can help book this). For folks not interested in learning to ski / snowboard, we may be able to help coordinate other activities, such as visits to a spa, yoga or snow shoeing. This trip includes: Transportation by private coach from the Chitose hotel to Hirafu and back to the airport. Accommodations at Blowhard Lodge, one night stay at a Chitose or Sapporo hotel (see trips above). All breakfasts at Blowhard Lodge and one group dinner. Four or Five days of skiing at an area resort with one day of guided riding. Recommendations for food / drink and entertainment in Hirafu. Airfare. Most lunches and dinners – we will provide recommendations and help arrange reservations.Taxi rides or any transportation outside of scheduled group travel. We recommend that you purchase travel insurance to protect your flight and belongings as well as cover medical expenses. We recommend planning to spend $300-$500 on meals, drinks, entertainment and gifts. Yes, and… For meals provided by the lodge/evo (breakfasts and one dinner), there will be options available. Gluten Free: It is difficult to avoid gluten in Japan, but it is possible. We recommend that you bring your own soy sauce and some snacks, as you will eat a lot of rice dishes. Being a vegetarian in Japan is easy. We will provide you with a card that will alert restaurants/grocers to your needs and most locations will be accommodating. Halal & Kosher: while there are a limited number of Halal and Kosher restaurants in Japan, there will be many meal options available by avoiding meat. For all dietary restrictions, we recommend that you bring some snacks just in case. Niseko was my third visit to Japan with evoTrip. Each time I book it's hard to imagine that the next trip could be better than the last, but somehow it happens! The terrain was super fun and all the resorts were close enough to have options for the best riding possible due to snow conditions and weather. February 2 Optional: Arrive at New Chitose Airport on Saturday and check in to the hotel of your choice. We recommend the Air Terminal Hotel as you will likely arrive quite late. 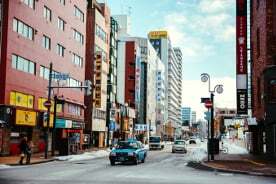 You'll have the evening to relax and explore Chitose before meeting up with the group the next morning. This night is optional - you can stay overnight in Haneda or Narita and fly in on Sunday, as long as you arrive by 10:00 am. February 3 Meet up with the group at the south end of the arrival terminal (outside of arrival gate 5). We will load into a private coach and drive roughly 2.5 hours to our Hirafu accommodations. 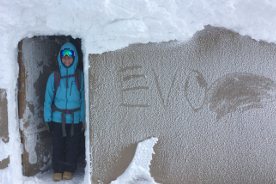 We will check-in, unpack and set up our gear at Blowhard Lodge and the evo staff will provide an area overview before heading out for afternoon riding at Grand Niseko Resort up the street. If you prefer, you can also spend the afternoon exploring Hirafu before our first full day of riding. We will enjoy a group welcome dinner at the lodge around 7pm. February 4 Meet for breakfast at 7:30am to outline the day and get to know the group. Get ready and meet in the lobby by 8:30. 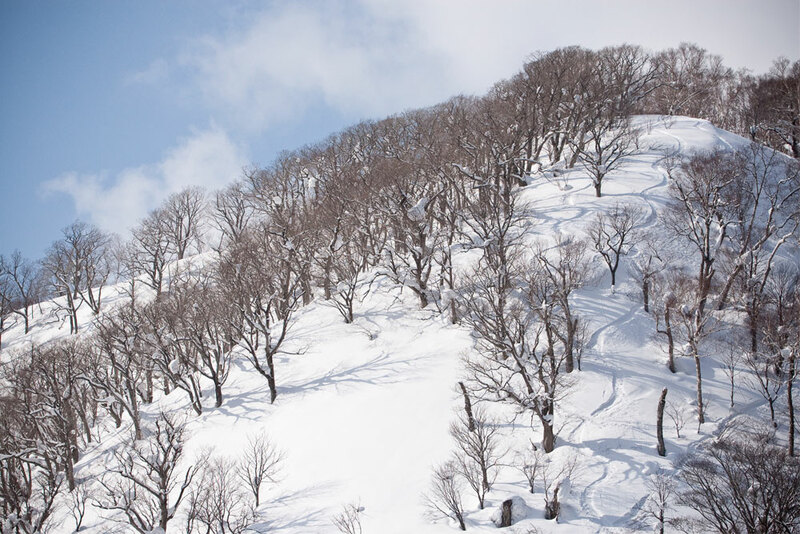 For our first day of riding, we’ll head towards the Niseko United resort that's received the most snow. Folks are welcome to stay in the group or explore on their own. We’ll identify an optional meeting spot for lunch and discuss the plan to return to the lodge. 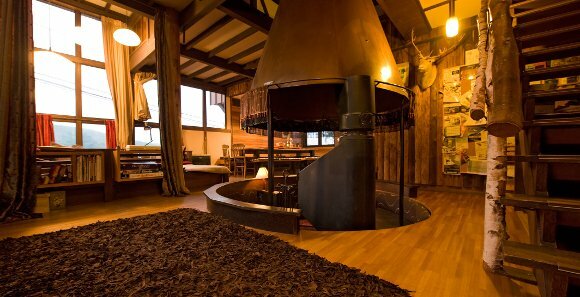 You’ll have time to relax in the lodge or explore Hirafu. We will help the group make reservations for dinner. You will be responsible for your lunch and dinner bills on this day. February 5 Repeat! This could be a great day to hike to the top of Mt. Niseko An'nupuri and catch the views of Mt Yōtei. After a hard day of riding, make a pit stop at a local onsen (traditional Japanese hot spring baths) to relax your aching muscles on your way back to the lodge. We will set up okonomiyaki dinner reservations where we will prepare our meal on personal tepans. You will be responsible for your lunch and dinner bills on this day. 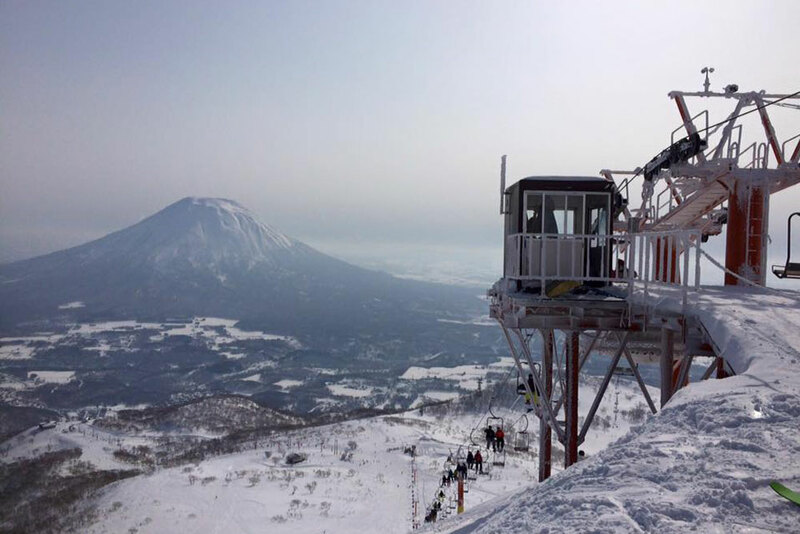 February 6 Depending on the weather we may take a guided tour at Niseko United. 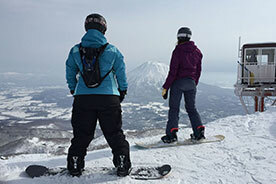 We will split into two groups by interest and ability to explore Niseko back and slack country. We'll follow a hard day of riding with small group dinner reservations and finish the night with a round of drinks at Bar Gyu, the tiny and infamous "fridge bar". You will be responsible for your lunch and dinner as well as any cocktail bills on this day. February 7 After so much riding, we'll give the group the option to relax. This will be an opportunity to explore Kutchan Town or visit an onsen. You will be responsible for your lunch and dinner bills on this day. February 8 If the weather looks good, we will get up early today to head over to Kiroro or Rusutsu (about 45 minutes away) for a new adventure. Expect shorter lines and plentiful off-piste options at both of these resorts. After a day of riding, we'll head back into Hirafu for small group dinner reservations. You will be responsible for your lunch and dinner bills on this day. February 9 We'll wake up early and take a private coach into Sapporo. 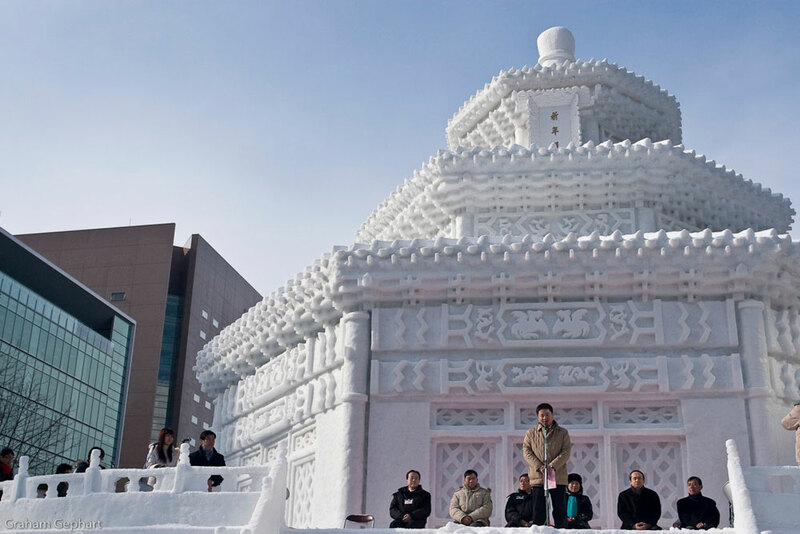 We'll drop our gear off at the hotel and head to Odori Park to view ice sculptures at the annual Sapporo Snow Festival. You'll have the afternoon to explore Sapporo and experience the North Island of Japan. February 10 Wake up and head to New Chitose Airport to head home. If you'd like to stay longer or add days to explore Tokyo, we are happy to help coordinate this and may have shipping options available for luggage. Airfare to New Chitose Airport. Our staff may be able to support you in selecting a flight. February 9 Arrive at New Chitose Airport on Saturday and take the hotel shuttle to Crown Plaza Ana Chitose. You'll check in and have the day to relax and explore Sapporo before meeting up with the group the next morning. This night is optional - you can also fly in on Sunday, Feb. 10th as long as you arrive by 8:00am (this option is difficult for most international flights coming from the US, but easy if you stay overnight in Tokyo). February 10 Wake up and eat breakfast before meeting up with the group in the hotel lobby at 9am. We will take a private coach to Odori Park to view ice sculptures at the annual Sapporo Snow Festival before continuing on to Hirafu (roughly 2.5 hours driving). We will check-in, unpack and set up our gear at Blowhard Lodge and the evo staff will provide an area overview before heading out for afternoon riding at Grand Niseko Resort up the street. If you prefer, you can also spend the afternoon exploring Hirafu before our first full day of riding. We will arrange for dinner reservations for small groups around 8:30pm. You will be responsible for your breakfast, snacks and dinner on this day. February 11 Meet for breakfast at 7:30am to outline the day and get to know the group. Get ready and meet in the lobby by 8:30. For our first day of riding, we’ll head towards the Niseko United resort that's received the most snow. Folks are welcome to stay in the group or explore on their own. We’ll identify an optional meeting spot for lunch and discuss the plan to return to the lodge. You’ll have time to relax in the lodge or explore Hirafu. We will help the group make reservations for dinner. You will be responsible for your lunch and dinner bills on this day. February 12 Repeat! This could be a great day to hike to the top of Mt. Niseko An'nupuri and catch the views of Mt Yōtei. After a hard day of riding, make a pit stop at a local onsen (traditional Japanese hot spring baths) to relax your aching muscles on your way back to the lodge. We will set up okonomiyaki dinner reservations where we will prepare our meal on personal tepans. You will be responsible for your lunch and dinner bills on this day. 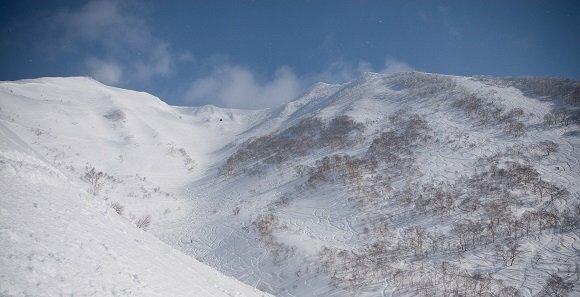 February 13 Depending on the weather we may take a guided tour at Niseko United. 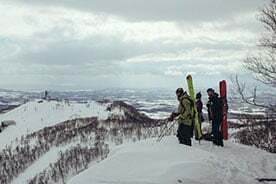 We will split into two groups by interest and ability to explore Niseko back and slack country. 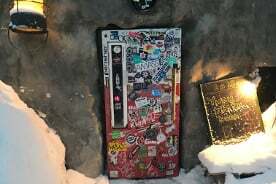 We'll follow a hard day of riding with small group dinner reservations and finish the night with a round of drinks at Bar Gyu, the tiny and infamous "fridge bar". You will be responsible for your lunch and dinner as well as any cocktail bills on this day. February 14 After so much riding, we'll give the group the option to relax. 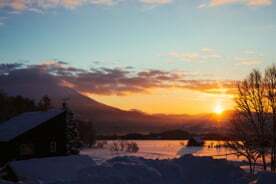 We can walk around Niseko, visit Kutchan Town, check out the Gentemstick Factory and visit an onsen. You will be responsible for your lunch and dinner bills on this day. February 15 If the weather looks good, we will get up early today to head over to Kiroro or Rusutsu (about 45 minutes away) for a new adventure. Expect shorter lines and plentiful off-piste options at both of these resorts. After a day of riding, we'll head back into Hirafu for small group dinner reservations. You will be responsible for your lunch and dinner bills on this day. 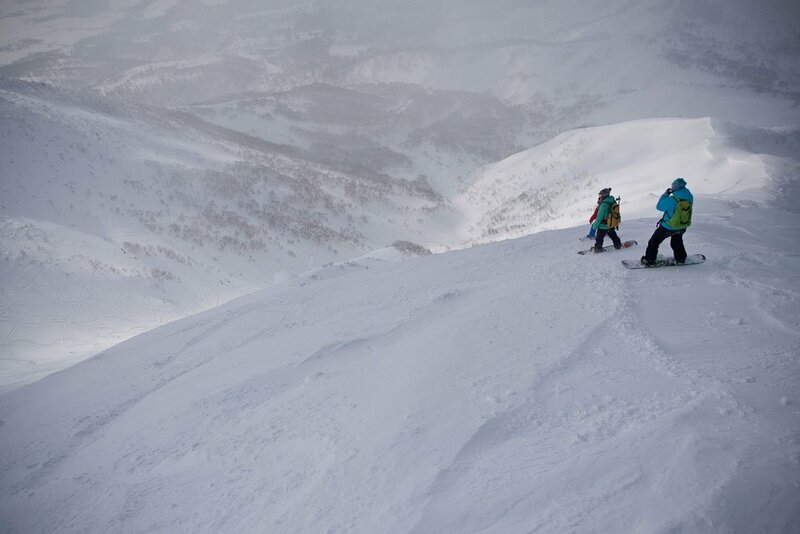 February 16 This will be our final day of riding, so we will be on a powder hunt! Make the most of your last day's lunch with a big bowl of Niseko Ramen. Explore on your own or with the group to ensure you make the most out of this day. On your way back to the lodge, we recommend a stop for mini-cheesecakes made fresh from Hokkaido cows. We will make an optional reservation for the full group this evening. You will be responsible for your lunch and dinner bills on this day. February 17 We'll wake up early and take a private coach straight to the airport. This is about a two-hour journey, so please do not book your outgoing flight before 1:30pm. We will have two departures from Hirafu depending on your flight time. If you'd like to stay longer or add days to explore Sapporo, we are happy to help coordinate this and may have shipping options available for luggage.